Home / Blog / Ottawa ranked as BEST place to live in Canada! 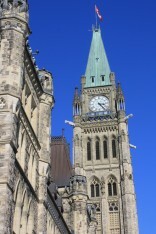 Posted Apr 8 2011 by Stella Garcia	in News	with Comments Off on Ottawa ranked as BEST place to live in Canada! A couple of weeks ago I heard that Ottawa-Gatineau ranked top of the list as the best place to live in Canada according to MoneySense’s 2011 list. I completely agree with the results of the study, but then again I am biased because I live here and have a natural attachment to the area. The Money Sense list compared things like average household income, unemployment, health services, lifestyle factors, among others. The one thing that surprised me the most about the things that were measured for the study was that they took into account the weather. MoneySense counted the average number of days that cities have temperatures of 0 degrees Celsius or below. Want to know how cold it actually is in Ottawa? Ottawa has an average of 153 days a year with below freezing temperatures! Vancouver only averages 35 of these days. The city I grew up in probably averages 2 days of below zero temps a year. So you can see how moving to Canada came with more of a “weather shock” than a “cultural shock” for me. I use to think weather was a huge factor in happiness levels. But living in Ottawa has skewed my point of view on the subject. Despite how eye opening these stats are, I still love Ottawa and will continue to wear fuzzy boots, big coats, gloves, scarfs, and hats whenever required by Mother Nature! I welcome spring with open arms; and for the next six months I will enjoy the greenery and warmth. But come November I know that I’ll be looking up into the sky longingly, quietly anticipating the first snowflakes of the season to fall.